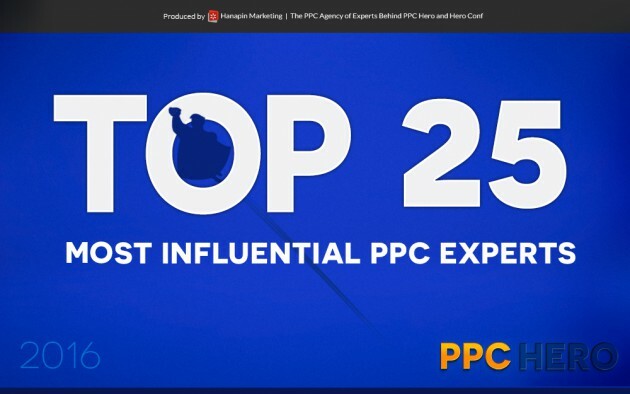 PPC Hero just put out their yearly “Top 25 Most Influential PPC Experts” list for 2016. 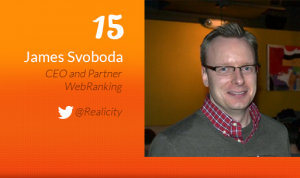 And our very own James Svoboda made the list again for the 3rd time, ranking 15th this year. It’s a great honor to make the list and the rest of us here at WebRanking congratulate James for this prestigious accomplishment. It’s quite humbling to be recognized by others in the industry. How does PPC Hero come up with their Top 25 Rankings? 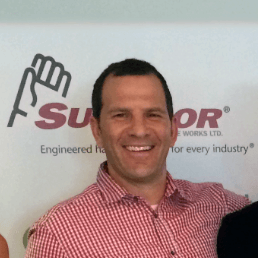 This marks the 3rd year that James has been recognized as a top 25 influential Pay Per Click Advertising Expert. The 2 other times he was also named to this list was in 2013 and 2014.